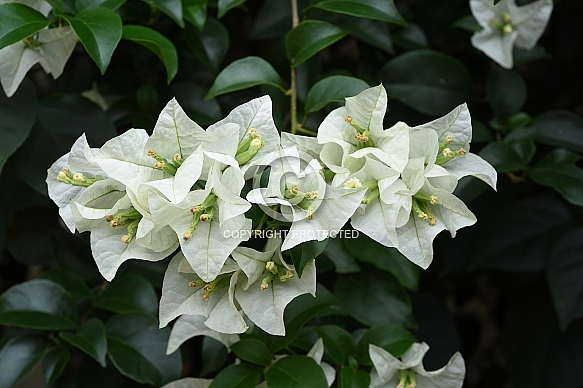 Description: Pure white flower bracts are borne in profusion, often in tight clusters on this popular climbing plant. Dark green foliage is smaller and more compact than many other varieties. Tolerant of occasional light frost. Prefers sunny position, well-drained soils and some support. Evergreen.